I yooxed this pair home just the other day thinking these might come in handy in the Summer. But more specifically tomorrow when me and Krassi will go down to the city hall and get married in the most informal way possible. As casual as it might be and nothing else is really planned I will still be wearing a floor length white gown I put together in a rush yesterday. Baby bump things in general are probably the hardest to create. Nevertheless, pictures will definitely follow. Now back to yoox. 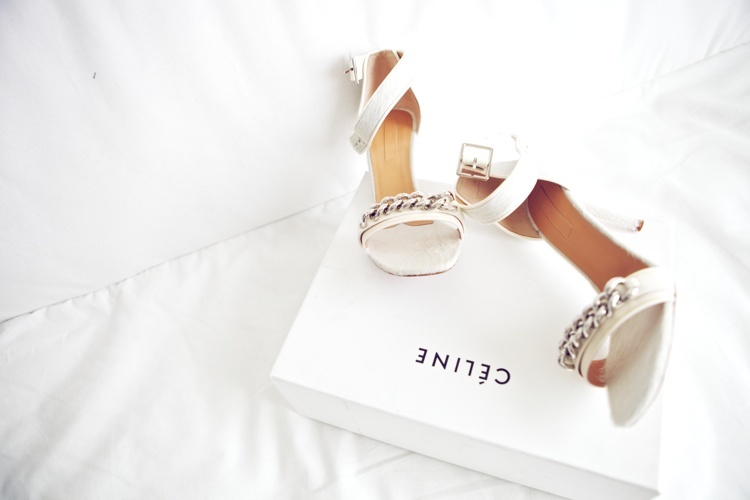 I love it for quite a decent selection of past Céline anything and if you are lucky enough getting your hands on a fairly recent pair of shoes this would definitely qualify as a bargain. Last (or pre-last) season things never actually seize to become relevant as long as you are good at integrating them into your wardrobe. Otherwise the whole fashion game turns into a vicious circle of trends.